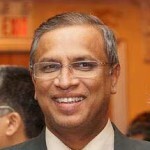 Tamil National Alliance’s spokesperson, M. A. Sumanthiran has contradicted a statement made by Prime Minister Ranil Wickremesinghe who recently claimed that all parties in Parliament had agreed to recognize Buddhism as the foremost religion in the country under the new Constitution. Addressing a religious event over the weekend, held at the Sedawatta Weheragoda Temple in Kolonnawa, Wickremesinghe said, “everyone in Parliament, including the TNA has agreed to give the foremost position to Buddhism in the new Constitution.” He added that not only political parties but also Cardinal Malcolm Ranjith, as well as Hindu and Muslim religious leaders are in agreement to continue to recognize Buddhism as the foremost religion in the new Constitution and therefore this clause will continue even in the new constitution. “No one should make this an issue,” Wickremesinghe said. It is not clear how Wickremesinge came to such a decision. Even the Public Representations Committee on Constitutional Reform submitted several recommendations in May this year under the Religion Chapter. “The Republic of Sri Lanka shall give all religions equal status. The State shall protect and foster Buddhism and the Buddha Sāsana while assuring to all religions the rights granted by Articles 10 and 14(1) e of the current Constitution. LTTE Sumane go fly a kite. Ask the diaspora if UK or USA will ever scrap the supremacy given to the Christian religion in their country. In the UK queen is the Defender of the Faith, which is Christianity, no other religion is even mentioned ! And how about the Middle-Eastern countries? Will they ever ditch having Islam as the supreme religion in their countries? Only egocentric idiotic Tamil politicians think they can dictate to the majority. If you don’t like being a minority you can always go to your lovely Tamil Nadu and enjoy being a majoritarian Hindu or whatever their faith is. Do not look at the West (who called you kavum kana Modayas) as an example. Look at the East, look at secular India, and take example from India (the place where your ancestors came from). Unfortunately, due to foolishness, the Sinha-Buddhist is the ONLY race in this entire world that believes that the majority race in a country is the sole owner of that country and all others (minorities) are aliens. In a multi-cultural society, if one particular race, religion or culture is given the foremost place, then that particular race, religion or culture becomes the first class citizens and all others will automatically become second class. The Tamil struggle in Sri Lanka started officially only after SWRD Bandaranayake came up with ‘Sinhala Only’ in 1956 and eventually turned into a bitter war for 30 years. One of their most important demand right from the beginning was, everybody in Sri Lanka should be equal, and nobody should be considered 2nd class. By giving Buddhism the foremost place, Buddhism is made the first class religion in Sri Lanka and all others automatically becomes second class. Are we going back to square one (the 1956 – 1972 era) to restart the struggle again? This time, not only Wigneswaran but all the Tamil politicians and the entire Tamil community (tens of thousands) will rise and protest. The government cannot simply fool the people saying equal status to all and then give foremost place to one religion only. If the Sinhala-Buddhists think that the Tamil freedom struggle ended at Nandikaddal, they are worse than the worst fools in this world. Just like the Palestine-Jew conflict continues with the Western World supporting the Jews, the Sinhala-Tamil conflict will also continue with the West (including the UN) supporting the Tamils. In the future, the Sri Lankan government may have to deal with Uncle Sam (USA) and the powerful west in order to solve this once internal issue. Poor Sri Lanka will always continue to be the begging nation and known as a pariah state by the West. Haters are incapable of rational thought or class. “Aaththirakkaranukku puththi mattu.” Mallaiyuran hates Jaffna Tamil Christians. Then he wants Budhdhism off the constitution!